Frances E. W. Harper (1825-1911), nee Watkins, was a prominent African-African female social reformer and writer of 19th century America. Watkins became an abolitionist orator after the passage of the 1850 Fugitive Slave Law. In 1854, while teaching at a school in York PA, she was scandalized by the wrongful enslavement and death of a free black laborer named Edward Davis. Watkins entered the anti-slavery lecture circuit in Eastern Massachusetts and Rhode Island. She published the first edition of her bestseller, Poems on Miscellaneous Subjects in 1854. Watkins wove anti-slavery pieces such as The Slave Mother, Eliza Harris, The Slave Auction, A Mother&apos;s Heroism, and The Fugitive&apos;s Wife into a broader religious and moral framework. Watkins also published numerous abolitionist poems, speeches, essays and editorials - such as Be Active (1856), Could We Trace the Record of Every Human Heart (1857), Miss Watkins and the Constitution (1859), and Our Greatest Want (1859). Known by this time as the "bronze muse," Harper also concerned herself with the broad reconstruction of the nation after the Civil War. She championed the rights of blacks and women in her work with the women&apos;s rights movement. Harper died in 1911 and is buried in an historic African American cemetery outside of Philadelphia. Laura Smith Haviland (1808-1898) was converted to the abolition cause after reading John Woolman’s history of the slave trade. She was born in Ontario, Canada, spent her childhood in Niagara County NY, and after marriage at age 17, moved with much of her extended family to what is now Lenawee County in the Michigan Territory. In 1832, with anti-slavery poet and recent immigrant to Michigan, Elizabeth Chandler, she founded the Logan Female Anti-Slavery Society, the first such organization in the Old Northwest Territory. Chandler’s untimely death two years later required Haviland to take over leadership while raising her young and growing pioneer family. With her husband and brother, she founded the Raisin Institute in 1837. The school was interracial, coeducational, and provided a safe education for black settlers and fugitives from slavery. 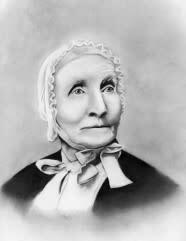 Widowed in 1845 with seven children, she managed to maintain her family farm while traveling regularly through Ohio, Michigan, and Canada lecturing, teaching, and guiding fugitives to freedom. She continued her work through and after the Civil War supplying aid to Union troops, and working at the Freedman’s Aid Bureau in Washington DC, teaching orphans, Native Americans, and newly freed slaves. In 1881 she published her autobiography, A Woman’s Life Work: Labors and Experiences, in support of her continued advocacy for post-war African American rights. Rev. Samuel J. 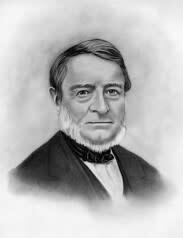 May, Jr. (1797-1871) was born into a well-connected Boston family. He graduated from Harvard University and became a Unitarian minister. William Lloyd Garrison converted May to immediate abolitionism in 1830. May assisted Garrison in founding the New England Anti-Slavery Society and was a founding member of the American Anti-Slavery Society. In 1835, May accepted a ministerial post in Syracuse, NY. There he became acquainted with both Sojourner Truth and Harriet Tubman. His involvement in the cause of abolition made him a nationally prominent activist. May, along with Gerrit Smith and Jermain Wesley Loguen, were instrumental in the 1851 rescue of the runaway slave William “Jerry” Henry, arrested under the Fugitive Slave Act. 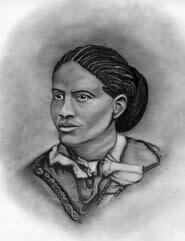 May assisted hundreds of fugitive slaves and served as president of the Syracuse Fugitive Aid Society. He recognized that racial prejudice, not only financial self-interest, perpetuated slavery in the U.S. He was dedicated to racial equality, not just abolition, and championed a wide variety of reform causes. He was a moral giant ahead of his time.